Saturday, July 20th was Swanzey's day in the spot light. It was Old Home Day, discussed in an earlier blog, which capped several days of activity, beginning on Thursday night. Thomas Hubka gave a talk on his book, "Big House, Little House, Back House, Barn". Swanzey is located among a small group of Yankee communities that built connected farmhouses. New Hampshire farms struggled to survive and needed to get involved with some kind of home industry, which is why this is the only area in which you will find these connected houses. In fact, the Bridges Inn at Whitcomb House is an example of one of these expansive homes. 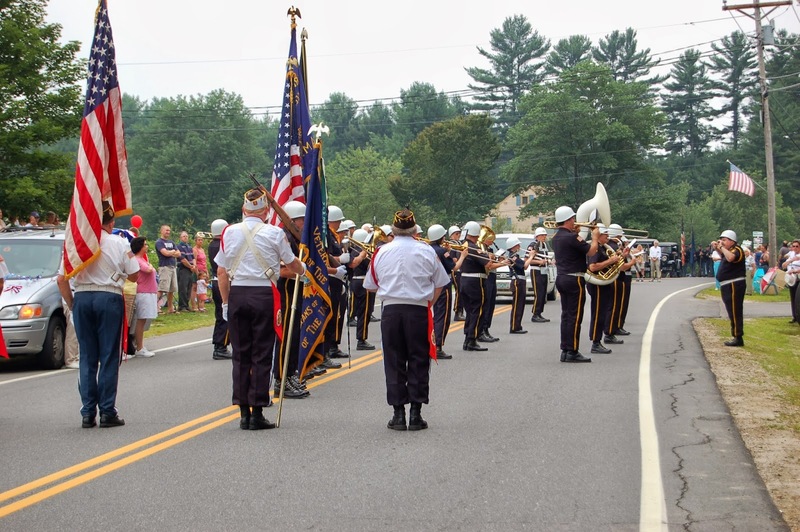 On Saturday, the festivities began with a parade and a 12.5 mile bike ride through the covered bridges of Swanzey. There were classic cars. As well as train rides and hula hoops; plus there was a huge sandbox and many fun activities for kids. There was also an information gazebo, where you can see the ever-hard-working Kathy Habiby. There were numerous food vendors and a farmers market with local seasonal items from fruit and vegetables to preserves and maple syrup. There were alpacas, too, and a miniature horse from Crescendo Acres Farm. There was also a display dedicated to the Whitcomb Hall renovation fund. For more information, see previous blog post. For three nights, local residents performed the 72nd revival of Denman Thompson's classic play, "The Old Homestead". These volunteers, whose duties range from acting to make-up and lighting, are keeping a tradition going. If you live in the area, you could consider attending or helping next year. Denman Thompson was born in Swanzey and went to New York City, where he found success as an actor and playwright. His drama and musical about Swanzey takes place in 1886, which we know because Mr. Whitcomb is told that he is ten years too late for the centennial. Joshua Whitcomb is one of the characters, representing as a typical resident of Swanzey. He is represented as a fool, a loving fool, but a fool nonetheless. The play really captures one moment in history. The musicals, I'm sure, represent what people did on farms before radio and television. The mannerisms feel very authentic as well. But it is priceless as a piece of the early story of urbanization. Denman Thompson had family in Swanzey and he spent a few of his teenage years in the town. One can imagine him as a youngster, awed and intimidated by Mr. Whitcomb. Perhaps Denman felt that the large Whitcomb family acted like Swanzey was their own private town. To be fair, the Whitcombs had a lot of power and influence, but they also gave back and contributed quite a bit, including running successful business enterprises and the resulting local jobs. Later in life, when Denman achieved some measure of success in the city, he came back to Swanzey with the courage to say things about Mr. Whitcomb that nobody else dared to. Like Toto pulling back the curtain in the "Wizard of Oz", the illusion was shattered. In the play, Mr. Whitcomb was portrayed as a hillbilly, who leaves his wife in the final scene to marry a widow in the city. The young couple who remained in Swanzey, Ebenezer and Rickety Ann, were not quite the town's most upstanding citizens. The play stands as a monument in time, in which children of Yankee farmers were all-too-eager to give up their traditions and move to the city. It marks the decline of agrarian New England. This moment was discussed by Professor Hubka as well. He said that the railroad, refrigeration, and other new technology created the dairy industry around the turn-of-the-century. 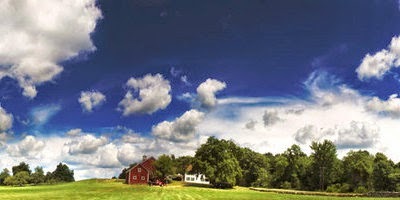 Finally the economic life of New England farms was stabilized, but it was too late. The lifestyle was in terminal decline by that time, just as would happen with manufacturing in Swanzey a century later. Some events from the past seem to repeat themselves, despite our best efforts to prevent them. Other events take a lot of effort and hard work just to make them happen each year. The Old Home Day and production of the play have continued for all of these years for one reason, which is due to all of the volunteers. Thank you to everyone who contributed to events! Next year, we'll have to do it all over again. 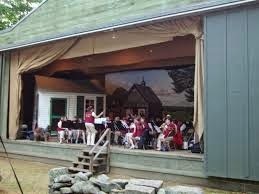 Swanzey Old Home Day and The Old Homestead play will likely be repeated on the third weekend of July in 2014. Watch this blog and the Bridges Inn Facebook page for announcements next year. In previous blog posts, various single day excursions from the Bridges Inn have been discussed, such as the Covered Bridge Loop. In this blog post, we will explore another exciting destination to Windsor, Vermont and Cornish, New Hampshire, just over an hour drive from the Bridges Inn. A day-trip to the Windsor / Cornish area is ideal for guests staying at the Bridges Inn. You can take Route 10 North to Route 12 North, passing by delicious Walpole, NH, home of Burdick's Chocolate, Alyson's Orchard, and the Walpole Creamery. Then you can catch Interstate 91 North to Windsor. Windsor, of course, is the birthplace of Vermont. It was active in colonial and revolutionary times. Vermont was actually the fourteenth state, carved out of New York as the result of a dispute over land given by the King of England prior to independence. Ethan Allen and the Green Mountain Boys play into this history. Windsor went on to become a cutting-edge center of machine tool technology and production. 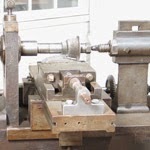 In the context of the nineteenth century, machine tool is a euphemism for rifles, and many of these were manufactured in the Windsor, VT - Claremont, NH area, known as precision valley. Pictured below is the American Precision Museum, celebrating the region's unique place in the development of modern mass-production and machine technology. The exhibit is a look back at the industrial revolution, and it currently features a display related to Vermont's role in the Civil War. Vermont contributed both men and state-of-the-art rifles with interchangeable parts. 2013 marks the 150th anniversary of the Civil War and the Precision museum's display is part of a larger summer of events, with more information available here. Seen below is a belt-driven milling machine, one of many pieces in working condition. One of the many destinations in Windsor is Great River Outfitters. They offer rafting trips on the Connecticut River (shown below) and are located adjacent to one of the coolest outdoor parks that I have ever seen. The entire campus is called Artisans Park. 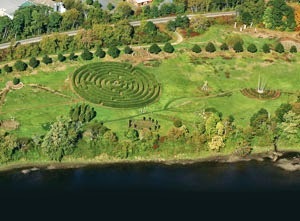 The outdoor park is a meditative walk through lush, landscaped groups that includes the Tunnel of Oblivion, a massive hedge-row labyrinth/Path of Life Garden (shown below), a collection of Easter-Island-esque standing stones called "Community", and the Tree of Wisdom. Also at Artisans Park is Harpoon Brewery, a fine microbrewery and restaurant with a beer garden. Located next to Harpoon is the Vermont Farmstead Cheese Company and the Sustainable Farmer. Here you can get high quality local products, in addition to pizza on Thursday, Friday, and Saturday nights. It is cooked outside in an impressive, large wood-fired oven made of cooper. While you are in Windsor, make sure to check out Simon Pearce. You'll find great glassware and pottery, some of which is available at a substantial discount. The production floor is available for viewing. 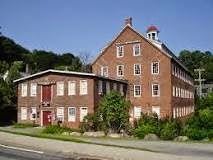 In nearby Quechee, Vermount, you can visit the Simon Pearce Mill and restaurant. After seeing the sights of Windsor, Vermont, travelers can venture over the longest single-span covered bridge that carries vehicles in the world. Situated very close to the Precision Museum, the Windsor-Cornish Covered Bridge, built in 1866, spans the Connecticut River, connecting Vermont and New Hampshire. Directions to the Windsor-Cornish covered bridge from the Bridges Inn can be found on the covered bridge page of our website - scroll down to the bottom of the page. After crossing into New Hampshire, it is a short drive to Saint-Gaudens National Historic Site, open seasonally from May until October. Home to Augustus Saint-Gaudens, many of his sculptures are on display at this luxurious old mansion. The gardens are lovely as well. Famous in his time, Saint-Gaudens designed the Lincoln Memorial (bust of Lincoln, bottom left) and many other well-known sculptures and coins. This is the only site in New Hampshire operated by the National Park Service and, as such, adheres to National Park admission policies. Returning to the Bridges Inn, it is possible to do a loop, going through either Newport, NH on Route 10 South or I-91 South to Brattleboro and then taking Route 9 East to Keene, where you'll pick up Route 10 South. 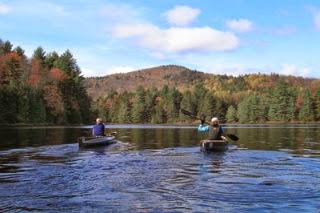 The southwestern New Hampshire area is full of interesting and unique things to see and do. As a lifelong resident of the region, I am still finding places that are new to me. The other weekend, a guest who was staying at the Bridges Inn informed me about Fruitlands in Harvard, Massachusetts. I had never heard of it before so I went to see it for myself, along with the Innkeeper's grandchildren. It was great. Harvard is about an hour from the Inn. The Fruitlands comprises 210 acres, with pristine views and hiking trails. There is also a very nice cafe and gift shop. However, the reason to go there is to see the preservation of extinct cultural heritage. The past comes to life. There are five separate museums on site. One is dedicated to Miss Clara Endicott Sears. She was a wealthy Boston socialite who founded Fruitlands. 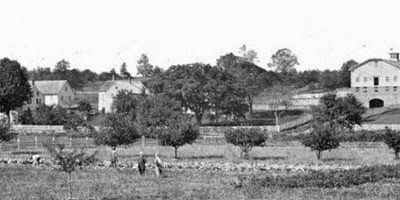 In the early nineteen hundreds, she discovered the Alcott farmhouse, tucked away on a corner of her property in Harvard. The Alcotts were connected to the local transcendentalist movement. The father is known for education reform and one of his daughters, Lisa May, is a famous author. A second museum at Fruitlands is the Alcott farmhouse, maintained as it would have looked for the family in 1843. Harvard, MA was the location of a vibrant shaker community. When the community closed in 1917, Miss Sears had the office building, constructed in 1796, moved on site. A third museum tells the shaker story, shown below, complete with artifacts. They were a hard working people and produced most everything that they needed, with a surplus to sell, such as seeds or furniture. Other on-site museums feature historic artwork, including 19th century portraits and Hudson River School landscape paintings. 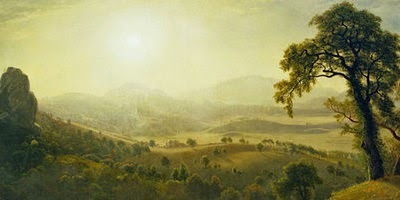 A striking image was Thomas Cole's Dream of Arcadia. Another notable painting was a work by Albert Bierstadt (shown below).In the seventeenth and eighteenth centuries, America was seen as primeval forest, a raw material to be formed by Europeans, and called the new Arcadia. Perhaps the highlight of Fruitlands is the collection of Native American artifacts and history. We learned about the numerous Algonquin tribes of New England and their 1676 battle against the British colonists, called King Phillip's War. Pictured below are Gabriela and Eduardo outside of a reproduction of a traditional house and also inside of the museum trying out the hands-on activities. The collection is not limited to New England natives, as it includes items from throughout North America. As you may notice from the pictures, each of the museums has plenty of activities things for the children. Fruitlands is geared towards families. There is even a fifth museum featuring a local artist who has work on display. The kids had a lot of fun at this exhibit. We encourage people to take the time to explore this little-known treasure trove of history. Note: The above photos are from the Fruitlands' website. There are many free events for the community in the town of Swanzey during the summer. These events are a long-standing tradition. It is a real slice of Americana, such as portrayed in Denman Thompson's classic play "The Old Homestead". He was a Swanzey native from the latter part of the eighteen hundreds. Every summer, his play is performed as part of Old Home Day, which is on Saturday July 20th, 2013. There are three performances of Thompson's play, on Friday, Saturday, and Sunday nights. Another event is the Potash Bowl, a summer concert series. 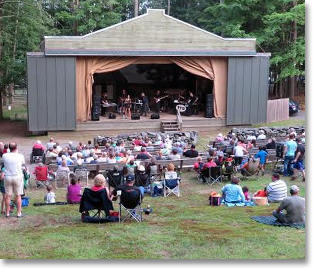 Pictured above is the Nelson Town Band, performing on June 28, 2013. They are a talented group of individuals and did a great job. The ice cream sundaes during intermission were pretty darn good, too. The potash Bowl continues for two more weeks, the 20th Century Pops on July 5th and the Tom Foolery Band on July 12th. We highly recommend experiencing these events for yourself and, if you'd like to spend the night in the area, the Bridges Inn offers a 10% discount for Old Home Day.